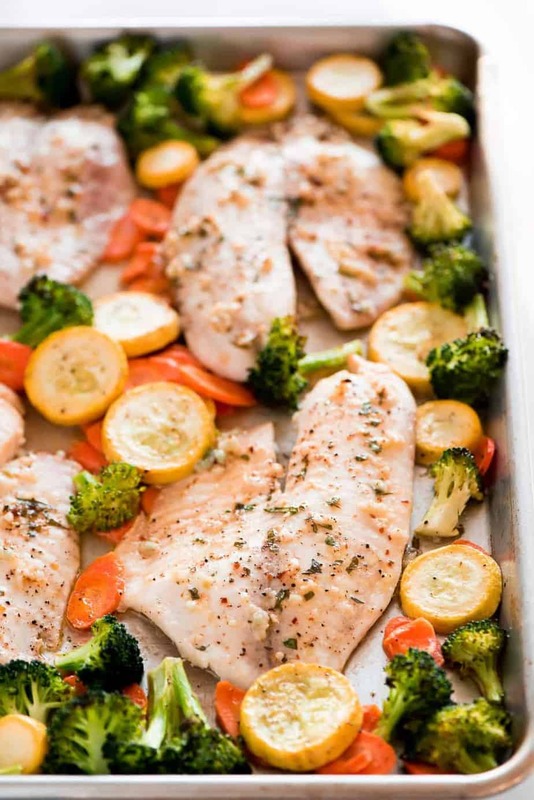 This Healthy Tilapia and Vegetable Recipe is bake in the oven in just 25 minutes. 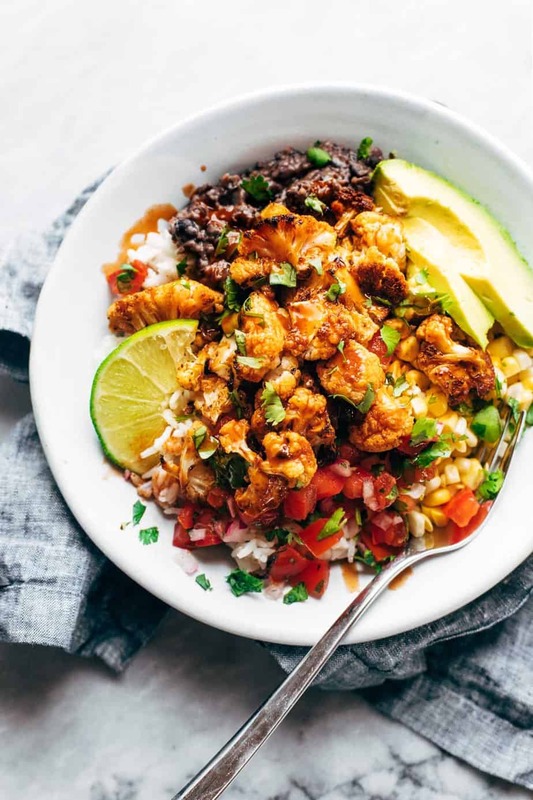 A recipe that is pack with healthy ingredients and bursting with flavor. Do you love fish recipe? I’m sure you are cause you won’t be here if you don’t. Another question, do you love sheet pan recipes? Then this Healthy Tilapia and Vegetable Recipes is what you need. This baked TILAPIA garnished with olive oil, lemon juice, parsley, garlic, onion powder, red pepper, and flakes. This recipe is calling for your name! Therefore, I want your attention while I take you to the road for this nutritious recipe. 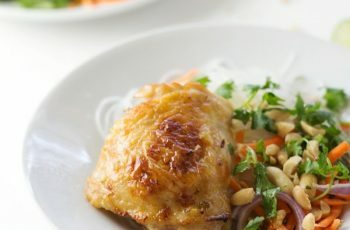 What Vegetable did I add as a combination for this Baked Tilapia? 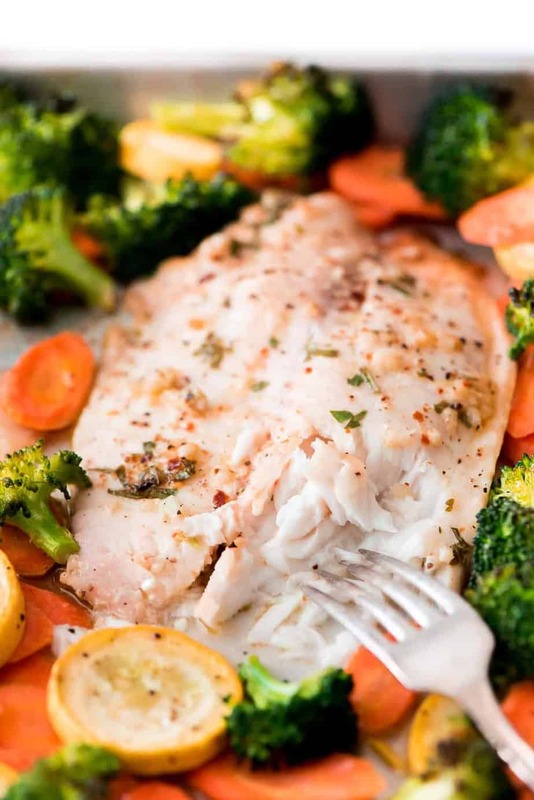 This baked Tilapia goes along with roasted broccoli, carrots, squash. It is pack with a lemony herb sauce that makes the meal refreshing and flavorful. Once you tasted, you’ll surely include this to your family favorite dish. This Healthy Tilapia and Vegetable Recipes is very easy and quick to make. There are two important things to in baking tilapia. Perfect Seasoning and Baking it right. Since we’re using tough vegetable like broccoli, squash, and carrots so, we need to bake them first before adding the tilapia. You might wonder and ask. Can I use other fish or meat for this recipe? Certainly! Instead of using tilapia you can use any white fish. Any fish you decided on this recipe will do. Time for you to grab your ingredients and try this recipe. Surely Satisfying! Place the veggies on baking sheet and drizzle it with 2 tablespoons olive oil. Sprinkle with salt and pepper then mix, and then push to the sides of the pan. In the small bowl, mix the remaining 2 tablespoons olive oil, lemon juice, garlic, parsley, red pepper flakes, and onion powder together. Place tilapia on the pan between the veggies and rub the marinade on all sides of the fillets. Sprinkle tilapia with salt and pepper.